Example of a man working at a machine. Eddystone, Pennsylvania - Railroad parts. Baldwin Locomotive Works. 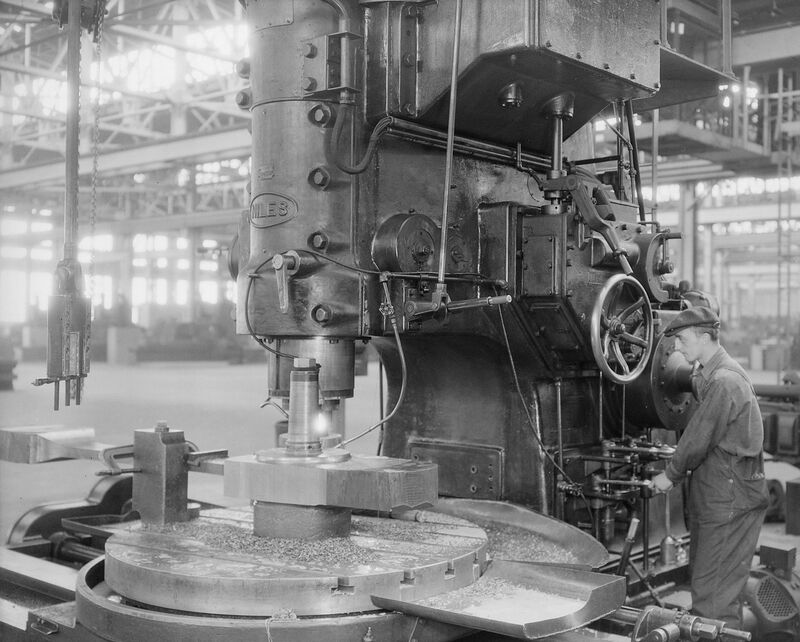 [Man working at machine.] May 1937 by the Federal Works Agency. Work Projects Administration. National Research Project. (ca. 1941 - ca. 1942). File:Eddystone, Pennsylvania - Railroad parts. Baldwin Locomotive Works. (Man working at machine.) - NARA - 518736.jpg in public domain.